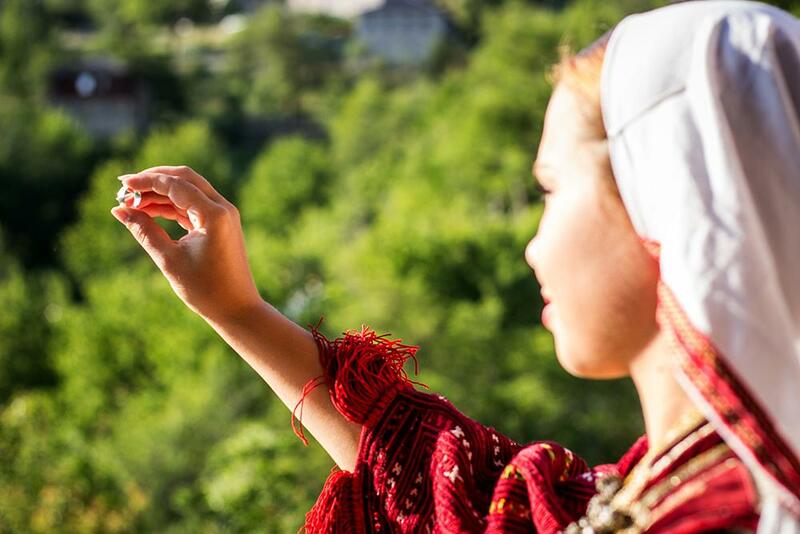 Macedonia has always been an important place where different civilizations met. These have influenced its culture and customs. These civilizations have left their traces on this territory in a form of different cultural and historic monuments. Many of these were destroyed by wars and earthquakes, but many have been restored and witness the rich history of Macedonia. 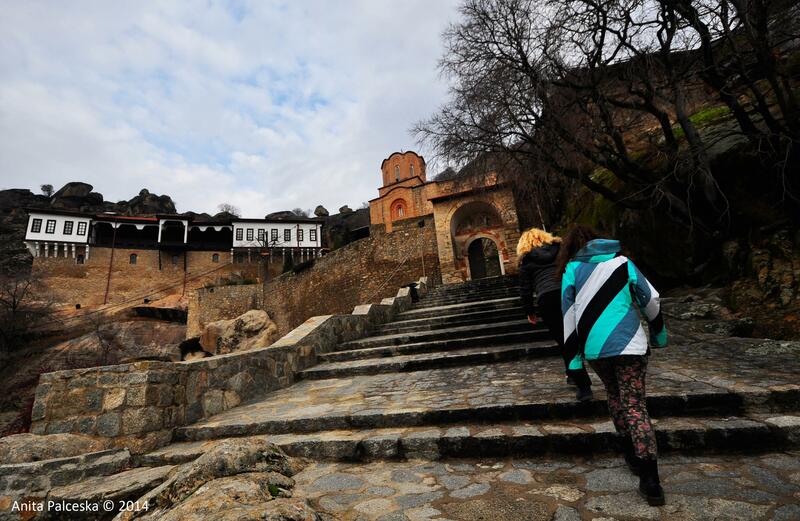 The cultural heritage of Macedonia includes archaeological sites, Byzantine churches, monasteries, old fortresses, old market places, mosques, etc. 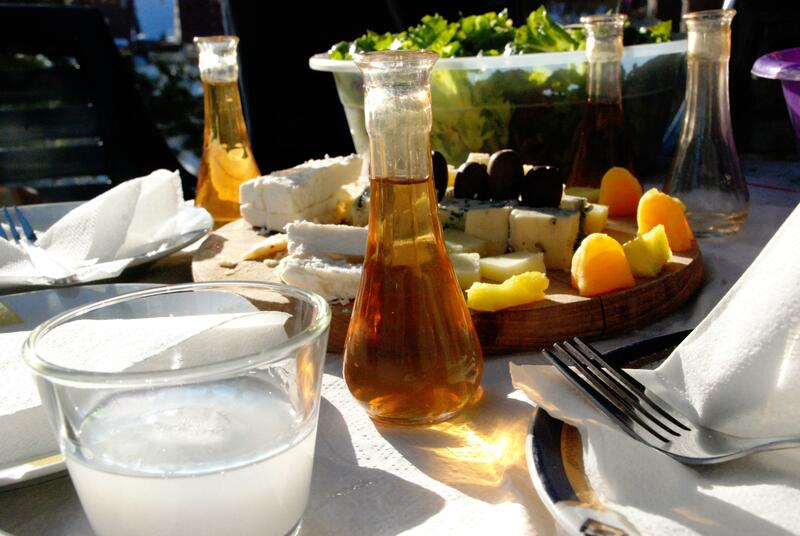 Each town in Macedonia has something specific to offer to a visitor to see. Skopje city is the capital of Macedonia in which traces of habitation go back as far as 4000 B.C. During its history, it has been under different rules. The Skopje bazaar developed through the centuries. It was destroyed many times, but it is still there, on the left bank of the Vardar river, with its tiny shops with many crafts of which some have died out, and large inns (Kurshumli inn, Suli in, Kapan inn and Daut Pasha inn), reminding the visitor of long gone times. 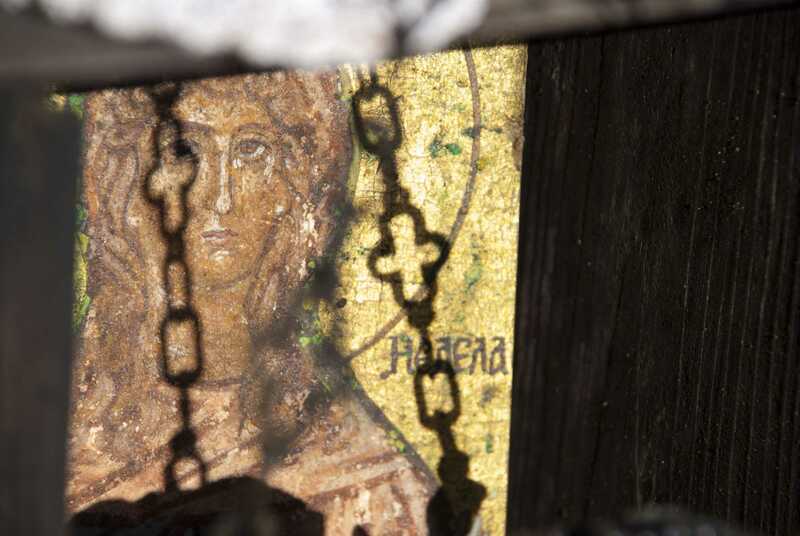 There are many monasteries around Skopje, like the Nerezi monastery with the church of St. Panteleimon and frescoes dating back to the Byzantine times and unique for showing emotions – for the first time in the Byzantine art. Then, there is the Matka monastery, St. Nikita monastery, Marko’s monastery and many churches in the surrounding villages. 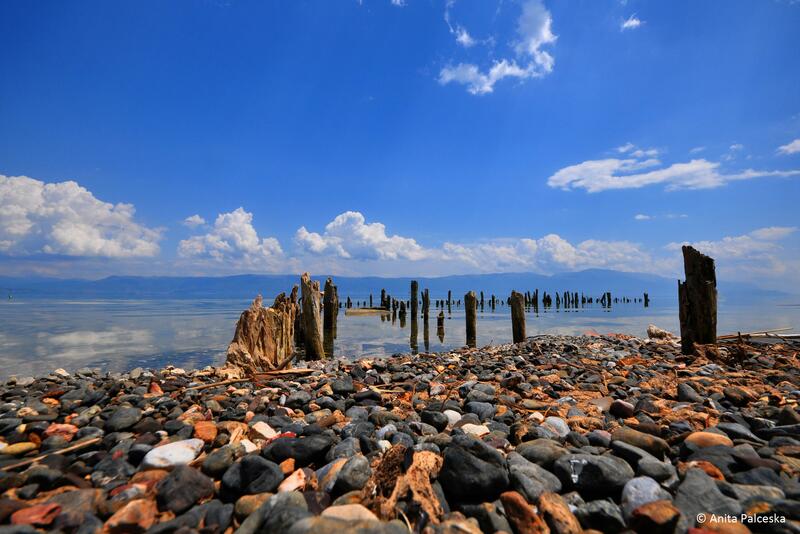 Ohrid and the Ohrid lake are not only known for their natural beauty but also for the huge number of Byzantine churches for which Ohrid is frequently called small Jerusalem. Not only it is known for the churches but also traces from the Roman times and the middle century. 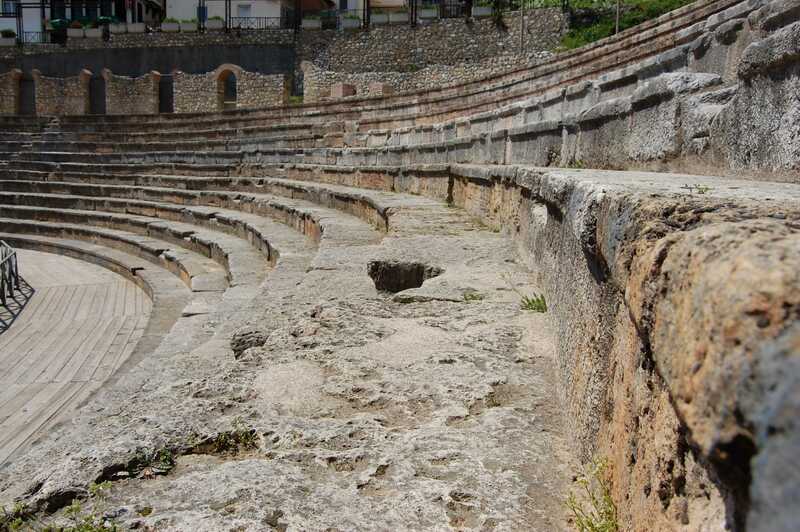 A Roman theatre has been uncovered in the city and it is presently used as an open-air stage. Remains from the Roman Empire are also found at Plaoshnik. 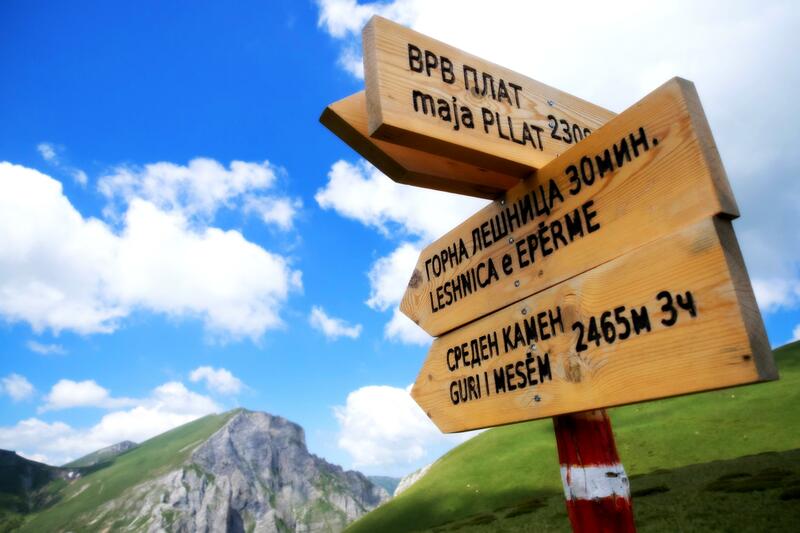 Ohrid was one of the most important religious, cultural and educational centers from where the Slav literacy was spread through the creation of the Slavonic script. With its unique architecture, with houses climbing the slope of a steep hill and narrow streets, the Samoil’s fortress standing on the hill above the town, the church of St. John the Divine – Kaneo standing on a rock overlooking the lake, it is one of the most beautiful cities in the wider region. Out of the numerous old churches, one can also mention the church of the Virgin Peribleptos (St. Clement’s) with the enclosed church porch containing the finest galleries of medieval icons dating from the 11th to the late 19th century, then the church dedicated to the Holy Physicians (Sv. Vrachi Mali), the church of St Nicholas Bolnichki, the church of the Virgin Mary Bolnichka, the church of St. Demetrius, and many others. On the southern shore of the lake, there stands the monastery of St. Naum dating back to the 9th century – one of the most important monasteries in Macedonia. In the immediate surrounding of Bitola, there are remains of Heraclea founded by the Greek ruler, Philip II of Macedon. From the 2nd century B.C. to the 4th century A.D., it was under the Romans. In this archeological site, important findings have been made: a statue of Hercules, A copy of Phideas’ Athena Parthenos, coins of Alexander the Great, wonderful mosaics, etc. 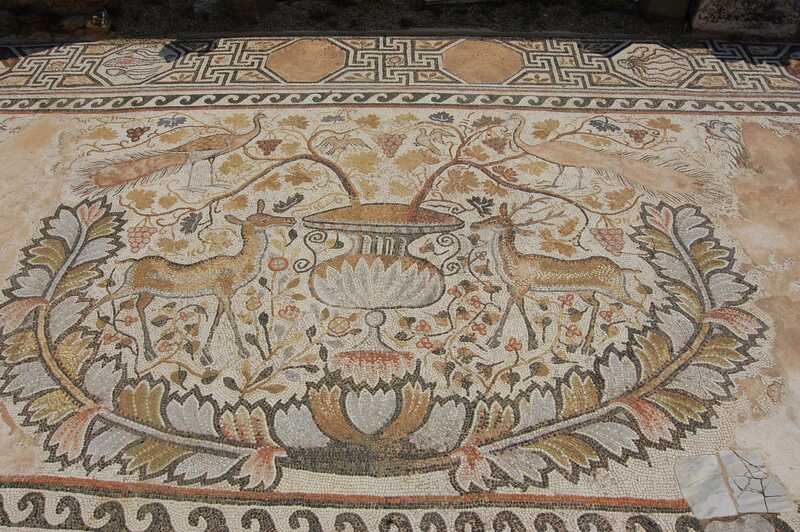 The archaeological site Stobi along the road leading to the Greek border does not leg behind in beauty. 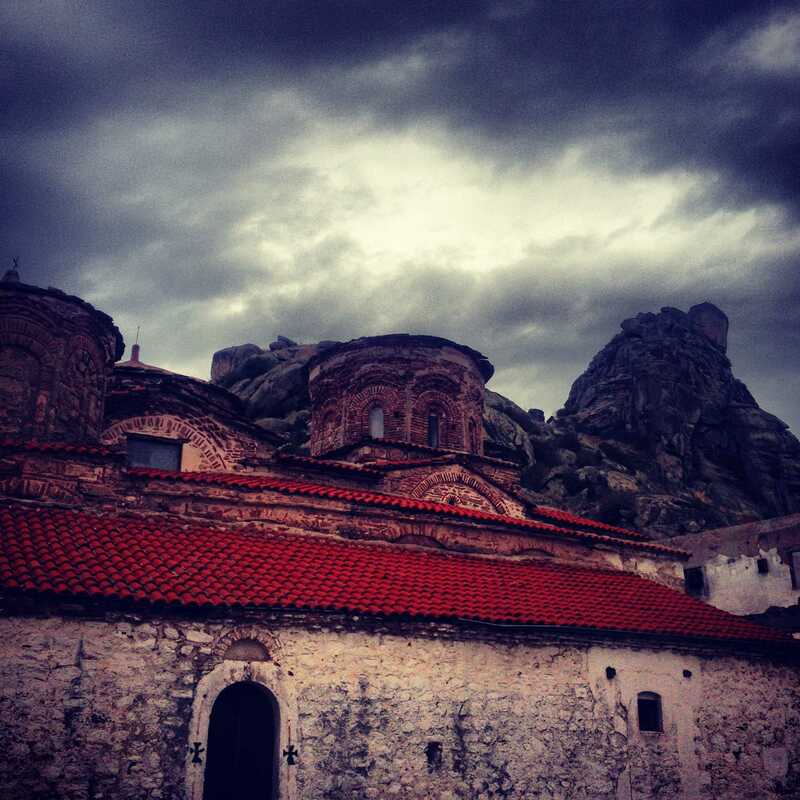 Standing out among other monasteries is the monastery of St. John Bigorski (Sveti Jovan) near the village of Rostushe. 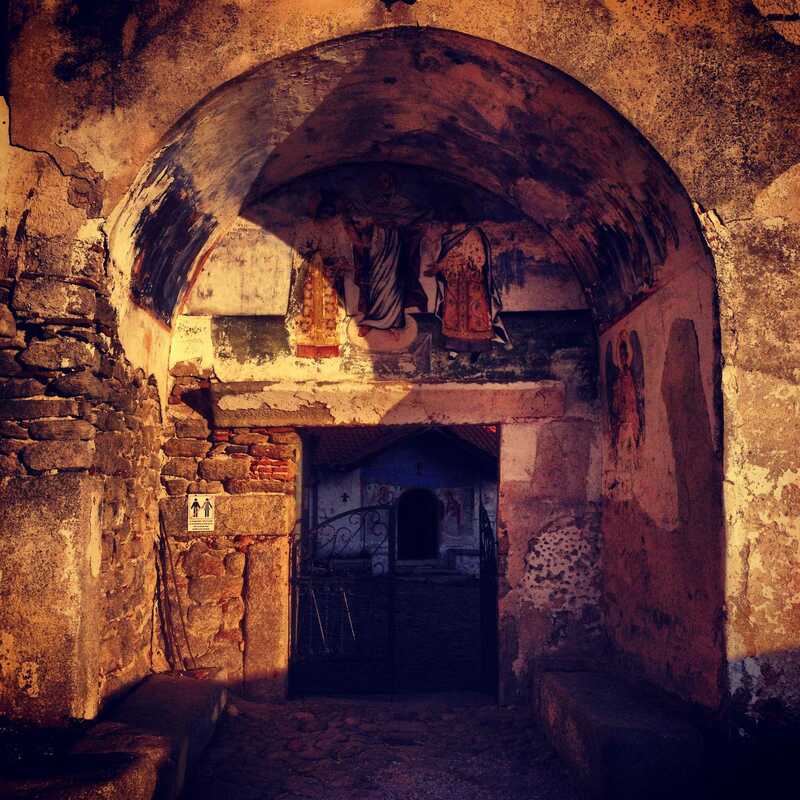 The church dedicated to St. John in this monastery is one of the best preserved in Macedonia. In addition to many monasteries and churches, there are very beautiful old mosques like Isa Bey mosque in Skopje, the Sultan Murat mosque, the multicolored mosque in Tetovo dating back to the 17th century, etc.